In so far as Article 145 lays down that the “Supreme Court may from time to time, with the approval of the President, make rules for regulating generally the practice and procedure of the Court...”, Mr. Dave suggested, “the ‘Supreme Court’ is not the CJI alone but the full court...”. In the same context, he indicated Article 124 on the establishment and constitution of the Supreme Court. “Please see the contradistinction in Article 130 (empowering the CJI to decide the seat of the apex court) where the Constitution wanted to confer power exclusively on the CJI, it was expressly done...”, he advanced. Continuing in the same thread, he also mentioned Article 146 providing that the Appointments of officers and servants of the Supreme Court shall be made by the Chief Justice of India or such other Judge or officer of the Court as he may direct. “Under Article 145, rules have been framed (Supreme Court Rules of 2013) which do not confer express or implied power on the CJI for determining the roster or the listing of cases...”, he submitted. Indicating Order 3 Rule 7 of the Supreme Court Rules of 2013, in so far as the Rule stipulates ‘Subject to general or special orders of Chief Justice, the Registrar shall publish such other lists as may be directed; list matters as may be directed and in such order as may be’, Mr. Dave advanced, “there is a limited scope for the CJI to interfere...”. "Subject to’ should be read as a Proviso...it cannot overrule the substantive provision...it does not empower the CJI to fix the roster and list before specific benches all the matters...”. Mr. Dave also indicated Rule 8(ii) of Order 3 in the same context. Further, in the light of Rules 1 and 5 of Order 6, Justice Bhushan observed, “power has been given to the CJI to nominate benches...that would be wide enough (to include determination of roster and assignment of matters)...if there is no such power, then the Supreme Court would be unworkable...”. “I bow down...but Your Lordships have to decide if the Constitution has conferred this power on the CJI or the full Court...”, responded Mr. Dave. “Your Lordships may sit at the end of each term and decide the roster and make amendments to the Rules...every judge may communicate what subjects they are interested in...just because this may seem cumbersome, it cannot be wished away”, continued Mr. Dave. 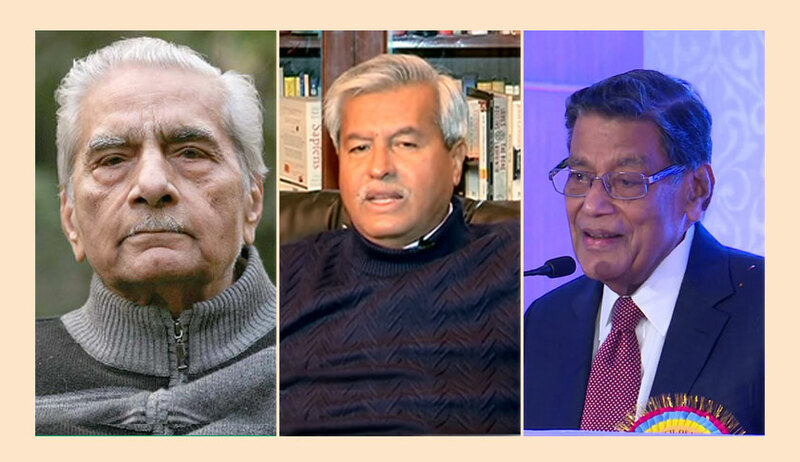 In response to a query by Justice Bhushan, the Senior Counsel clarified, “if it is not feasible for the full court to take part in accordance with Article 145, then in the alternative, the Collegium may decide”. Relying on the landmark judgment in S. P. Gupta (1981), he advanced, “the ‘CJI’ has been understood to mean to collegium”. “Constitution of benches and listing of matters is a sensitive issue today...this is a responsible petition by a responsible petitioner and not directed against any one individual...if one day, some CJI decides he shall hear all matters himself (“and gives only chamber matters to brother judges”, added Justice Sikri on a lighter note), would that be legal?”, submitted Mr. Dave. “If roster is decided in January, then at least till May, matters should be listed in accordance thereto by the computer with no human interference...”, he continued. Thereupon, Mr. Dave brought out the discrepancies between the 2013 Rules and the Supreme Court Handbook on Practice and Procedure. He advanced the first submission in the light of Chapter XI on ‘Filing and Processing of Cases’, in so far as a guideline lays down, “The In-charge, Filing Counter, shall apprise the Registrar (J-I) about the filing of important and sensitive cases and, if he is of the same view, he shall place such cases before the Chief Justice for information and order, if any”. “The Rules do not provide this”, commented Mr. Dave. In so far Chapter XIII on ‘Listing of Cases’ states that “fresh cases are allocated as per subject category through automatic computer allocation, unless coram is given by the Chief Justice or the Filing Counter”, Mr. Dave submitted that it destroys the idea of random allocation by the computer. “Please devise a system to rule out any arbitrariness and cherry picking...the judiciary, and the Supreme Court in particular, is the sole institution that the public vests its faith in...this trust cannot be allowed to be questioned by the exercise of arbitrary discretion of the CJI...I beseech Your Lordships to take judicial notice of this...”, he prayed. Further, where it is provided in Chapter XIII that “Publication of the cause list shall be the only mode of intimation of listing of a case, unless otherwise ordered by the Chief Justice”, Mr. Dave remarked, “the Rules provide transparency and the Handbook does away with it”. When Justice Bhushan observed that the Handbook is in the character of mere guidelines, Mr. Dave replied that the Supreme Court Registry has singularly followed the Handbook in the particular instances cited in the present petition. Advocate Prashant Bhushan also added on several occasions he has been refused to even be given the Diary number by the Registry without the direction of the Chief Justice on account of the “sensitive” nature of the petition. “The Registry is applying ‘res ipsa loquitur’”, the bench remarked on a humorous note. In respect of the guideline in Chapter XIII that “Fresh admission hearing cases shall be included in the daily cause list in chronological order, i.e., in the order of institution”, Mr. Dave commented that there is no discretion in the listing of fresh cases. Where the Chapter states that “No change in the cause list, once published, shall be effected”, he advanced that the contrary “happens everyday”. Further, Chapter XIII stipulates that Any party or advocate on-record desirous of out of turn listing or early hearing of an admission hearing case or application on the ground of urgency may make oral mention before the Bench at 10.30 a.m. Mr. Dave submitted that the mentioning need not necessarily be before the CJI. Further, where it is provided in the Chapter that “In case mentioning is not permitted on a particular day before the Bench presided over by the Chief Justice, it may take place before the seniormost Bench of that day or as ordered by the Chief Justice”, Mr. Dave advanced, “Assuming that these guidelines apply, the order of Court 2 (in connection with the petition by CJAR in the Prasad Educational Trust matter) was proper”. Finally, Chapter XIII prescribes that “A case directed to be listed before some other Bench or before a Bench of which one of the Judges is not a member shall be listed as per subject category through computer allocation. Such admission hearing cases shall be listed in the next final cause list.” “This was singularly breached in the writ petition by NGO Common Cause challenging the appointment of Rakesh Asthana as CBI Special Director...these are sensitive matters affecting the body polity of a democracy...these are not some service matter”, remarked Mr. Dave. “You want the System to be streamlined. Let us not go into particular cases”, states Justice Sikri. “We are not seeking review of these cases but their manner of listing has left a lot to desire...is the power of the master of the roster so sacrosanct that it cannot be examined?...our submission is that these guidelines should not be followed and that the listing and the determination of the roster should be in accordance with the Constitution, the Rules and the system of computer allocation...if at all the guidelines are there, they are being breached singularly by the Registry...”, responded Mr. Dave. “The law laid down by the judiciary is being deemed to apply on the Executive and the Legislature but not on the Judiciary itself”, he continued in the light of Articles 141 and 144. “This is on the division of powers...but when a dispute arises, it comes to the Judiciary”, remarked Justice Sikri. “But if an issue is regarding the court on the Administrative side, should it be decided or not by the judiciary? Could this be referred to a larger bench? This is not a case that may be thrown out at the threshold...the future existence of this Court depends on it...the Executive wishes for there to be gaping holes in the system of the Supreme Court and the High Cours...”, replied Mr. Dave. “This observation by Justice Verma is really the answer...it has been put so pithily”, commented Mr. Dave. Mr. Dave and Mr. Bhushan together mentioned the consultative procedure adopted in most international courts. “The rules of practice shall be different for different places and bodies”, noted Justice Bhushan. “Also, like in the USA, there is only court and no sitting in benches”, added Justice Sikri. “The power of the CJI as the master of the roster is not consistent with the Constitutional interpretation of the ‘Supreme Court’...and where the Supreme Court Rules have given discretionary power to the CJI, the same principle of the Second Judges Case of involving the senior most judges must apply”, submitted Mr. Bhushan. “As per the current roster, all matters are fairly distributed, but the PILs are only before the CJI...is this not unfair because Your Lordships have all heard PILs in High Courts?”, advanced Mr. Dave. “Even in certain High Courts, the CJ lists PILs before his own bench”, noted Justice Sikri. “When Justice Y. V. Chandrachud was the Chief Justice, Justice Bhagwati heard all PILs”, responded Mr. Dave. “This exercise is different from the appointment of judges by the collegium and not one that can be carried out by multiple persons...there may be disputes as to why a particular judge is being assigned any specific matters...in the appointment of judges, there is no personal involvement in view of the elevation being from the bar or the High Court. Here, there will be personal involvement as to which bench to preside over and whether one should be Number 2 or 3...it would be an unending exercise...and if there has to be only person to carry it out, it has to be the CJ...”, he continued. In context of Mr. Dave’s reliance on Article 145, the AG cited Article 146(2) providing that “Subject to the provisions of any law made by Parliament, the conditions of service of officers and servants of the Supreme Court shall be such as may be prescribed by rules made by the Chief Justice of India or by some other Judge or officer of the Court authorised by the Chief Justice of India to make rules for the purpose”. Further, he mentioned the judgment of the Supreme Court in Jasbir Singh v. State of Punjab (2006). “The judgments cited by the AG are not in the context of Article 141...Order 6 (Rule 1; Supreme Court Rules) only says that every cause, appeal or matter shall be heard by a Bench consisting of not less than two Judges nominated by the ChiefJustice...there is no discretionary power to the CJ to decide the roster...the power of the master of roster is to be tested on the touchstone of Article 145 read with the Rules...”, objected Mr. Dave. “There shall be no difficulty in all the judges deciding the roster at the beginning of a term”, pressed Mr. Bhushan. “We are interested in its constitutionality...difficulties can be resolved”, remarked Justice Bhushan. The bench finally reserved its judgment.